At this week’s Consumer Electronics Show (CES) in Las Vegas, Nevada, Netherlands-based location technology specialist TomTom announced that it will accelerate the future of driving by collaborating with Japanese automotive components manufacturer Denso on its software platform for autonomous vehicles. Under the partnership, TomTom’s High Definition Map will work in combination with Denso in-vehicle sensors, such as cameras and radars, to power the localization, perception and path planning functions for a complete autonomous driving system. 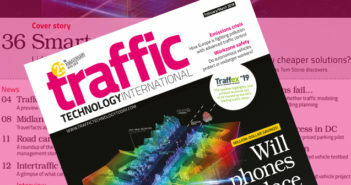 The collaboration will allow Denso to offer a market-leading system targeting SAE Level 2 automation for highways and major urban roads, by making use of the end-to-end mapping system developed together with TomTom. The two companies have teams working together in Japan, combining information gathered by Denso’s sensors with TomTom’s HD Maps, which will result in an autonomous driving system that is more advanced, more reliable and safer. TomTom’s digital HD Map is the first to cover highways and interstates across the USA, western Europe, Japan and South Korea, enhancing automated driving by complementing sensors, powering accurate localization and enabling path planning. 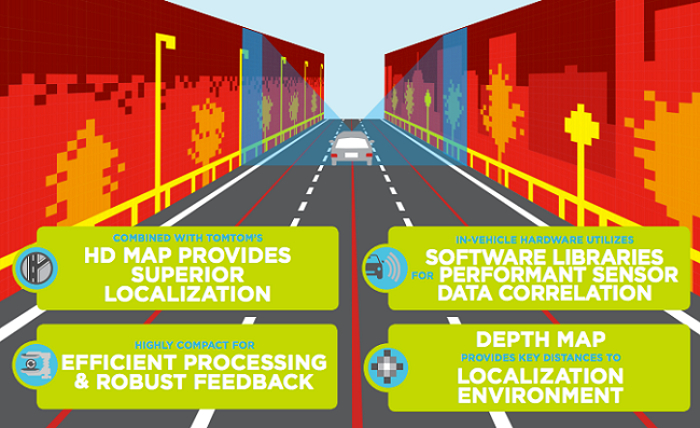 As part of this agreement, Denso will provide processed sensor data to TomTom’s end-to-end mapping system for autonomous vehicles and advanced driver assistance systems (ADAS), updating the HD Map on the fly. This will be achieved by generating crowd-sourced map updates called Roadagrams, which are used to ensure the HD Map reflects the reality of the road. Combined with sensor data from survey vehicles, TomTom can guarantee an accurate global HD Map. TomTom’s innovative AutoStream map delivery system then delivers the latest map data to the vehicles on demand. Developed for self-driving and ADAS functions, AutoStream ensures that a connected and autonomous vehicle (CAV) can always use the latest map data for the road ahead, while minimizing data consumption.